Karla spends most of her work time behind the scenes of the store, sourcing new products and directing all the working components of the business. 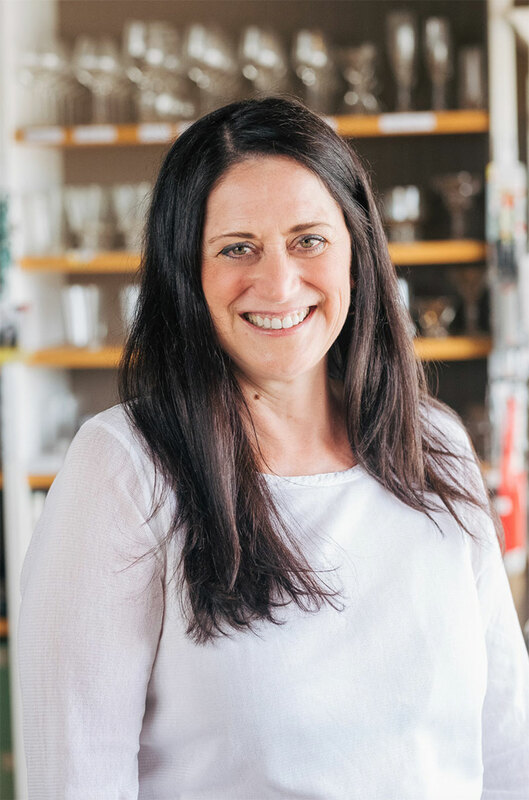 Above all, her favourite aspect is the customers; hearing about their travels and culinary adventures, sharing recipes and tips, watching their kids and grandkids grow up. She’s definitely an “ish” cook instead of following recipes to a T, but loves the challenge of testing recipes for cookbooks and exploring new tastes. As the mum of young children, Karla definitely makes the most of her time cooking in batches to put meals away in her freezer for busy weeknights, and gets the chance to return to her love of gourmet cooking when the boys are at their grandparents. Her best tip when cooking for family? “Use the time to connect with the kids. Instead of rushing through the meal prep, it’s a great time to have them contribute to the meal in small easy to handle ways, washing produce or peeling carrots.” Her most cherished cooking possession? A cookbook compiled by family and friends; a wedding shower gift. She uses it regularly! Darcy and her husband have authored two cookbooks, both of which, naturally, are available at The Seasoned Kitchen. She has been with the store for almost 9 years and, while mostly doing purchasing, receiving, and helping with the many other behind the scenes tasks, Darcy can be found helping customers choose beautiful products. She loves the challenge of cooking, and has been known to spend a day (or two!) completing a complex recipe. She loves to bake, bread in particular, and is struggling at the moment with too many leftovers; a result of a recent empty nest!! Ruth has been at the store for 6 years and above all appreciates the “small town feel” the store continues to have. She loves getting to know the customers and helping them choose the right products. Ruth is passionate about sharing her product knowledge with both customers and staff. 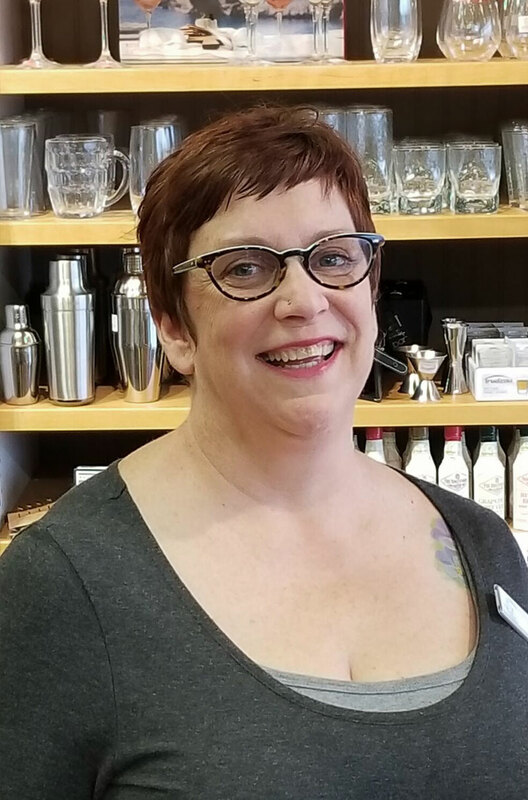 Ruth enjoys the collaborative way The Seasoned Kitchen team works together and spends much of her time creating displays in the store, writing newsletters and planning store events, but by far loves working with customers the best! Ruth loves to make soup; she freezes it and then shares with her daughter, who lives in Vancouver. “Giving my daughter these restorative, homemade meals during cold and flu season keeps us connected! I love the quick text or phone call from her thanking me for making her a hot meal”, Ruth exclaims. We couldn’t agree more on the healing properties of homemade soup! Pat has been part of the Seasoned Kitchen family behind the scenes since the beginning and in the store front for 4 years. You can also find Pat as one of the store’s facebook team, she enjoys sharing about new products and has an eye for design. Her family has grown up and now, even though her kids have gone, she still loves to cook. She’d rather make a four-course meal than a dessert, which her husband appreciates! She’s always taught that cooking equates with love and enjoyment, and it shows; her kids always request family favourites when at home and jump in to help in the kitchen, continuing to make memorable meals together. No favourite cookbook on her shelf; Pat prefers to glean from several sources, adding her own special touches as she goes along. Connie has been part of the store for two years, and never tires of unpacking new products. “It’s so inspiring!”, she says. Connie is most often found chatting with customers about their projects in the kitchen and helping them find the right tools. In the kitchen, she loves making pizza. During a trip to NYC last year she went to Jim Lahey’s pizzeria and bakery, and exclaims “those no-knead recipes are amazing!” She and her husband and are vegetarians. Connie recently introduced cultured veggies, sprouting, kombucha and lacto-fermentation into her kitchen, with delicious results! Trish is the newest addition to the store. She loves to help customers figure out what they need for their next project, and finding interesting information and recipes to share on the store’s Facebook page. Her favourite time in the kitchen is spent baking. After raising three sons, she and her big dog Rosie welcome those boys back home to rustle through the kitchen looking for cookies! Decorating cookies was a family tradition with them for all the holidays.